For the past 15 months, a growing number of residents in part of South East Queensland have been on the hunt for urban mozzies. In particular, they’re after the eggs of the Aedes aegypti species. Zika Mozzie Seeker is a multi-award-winning project run by Metro South Health in collaboration with Queensland Health (Forensic and Scientific Services). The project is designed to significantly enhance our ability to detect invasions of Aedes aegypti mosquitoes (or ‘Zika mozzies’) into South East Queensland – the mosquito that can carry viruses like Zika and dengue. The project will help confirm our belief that such mozzies are not present in South East Queensland. It is currently a trial in the Metro South Health region of Brisbane (southside, Logan, Redlands and parts of the Scenic Rim). Receiving a Queensland Health Award for Excellence for pursuing innovation (alongside a Metro South Health Board Chair’s Award), Zika Mozzie Seeker is a pioneering project in more ways than one. In fact, it could revolutionise domestic mozzie monitoring. The project uses ‘citizen science’ to engage the public in DIY urban mozzie monitoring, and is the first health-based project of its kind in Australia. Expanding on egg trapping programs run in partnership with local councils, Zika Mozzie Seeker empowers members of the public to help ensure there are no Zika mozzies at their house and in their local community. 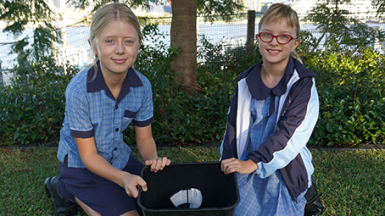 Participants host a DIY mozzie egg trap in their backyard for a few weeks, collect the eggs and send them back to the lab for DNA analysis. The egg traps are simple devices: typically, a recycled container like a leftover milk bottle or an ice cream bucket is filled with tap water, and a paper egg collection strip is placed inside. Mozzies come to the water and lay their eggs on the paper strip. The trick is to find any potential Zika mozzies hidden amongst the local species which also lay their eggs in the traps. Zika Mozzie Seeker uses a world-first DNA testing method to analyse the eggs. Previously, staff would spend hours laboriously analysing mozzie species under a microscope. 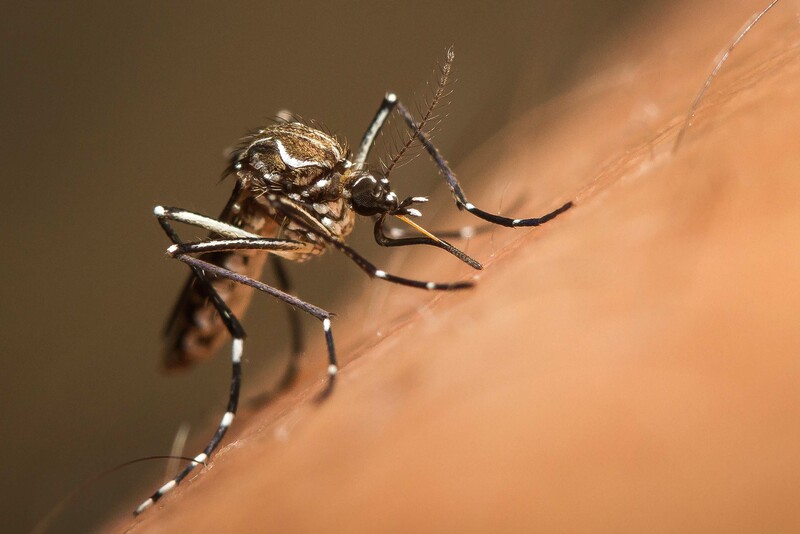 Using the new method developed by Queensland Health (Forensic and Scientific Services), up to 5,000 domestic mozzie eggs can be tested at once for Aedes Aegypti DNA. So far, the results have been as expected, with all eggs testing negative for Zika mozzies. Project Manager Brian Montgomery, from Metro South Public Health Unit, says that getting the public involved is key to the success of the project. “We need a lot of participants across the suburbs of the Metro South Health region to increase our confidence that the region is free from Zika mozzies. These mozzies typically do not fly more than a few hundred metres from breeding sites (containers filled with water), so we need to place traps in lots of locations, and backyards are ideal,” he explains. To date more than 750 ‘Zika Mozzie Seekers’ have collected around 126,000 mozzie eggs. Each participant is prompted through the trapping process using SMS and email, with all the instructions contained on the Metro South Health website. Many participants have taken part in several rounds of trapping, some taking to Twitter to share photos of their backyard egg traps and the results emailed to them by Metro South Health. Mr Montgomery and his team are thrilled with the recognition the program received at the 2017 Queensland Health Awards and are looking forward to continuing to expand the program. What’s next for Zika Mozzie Seeker? Residents of the Metro South Health region can register now for the fourth round of egg trapping, which will be held over March and April in 2018. Given the success of the program, the team aim to broaden the geographical area of the program, hoping to one day have Zika Mozzie Seekers collecting eggs right throughout the state, and even the nation.